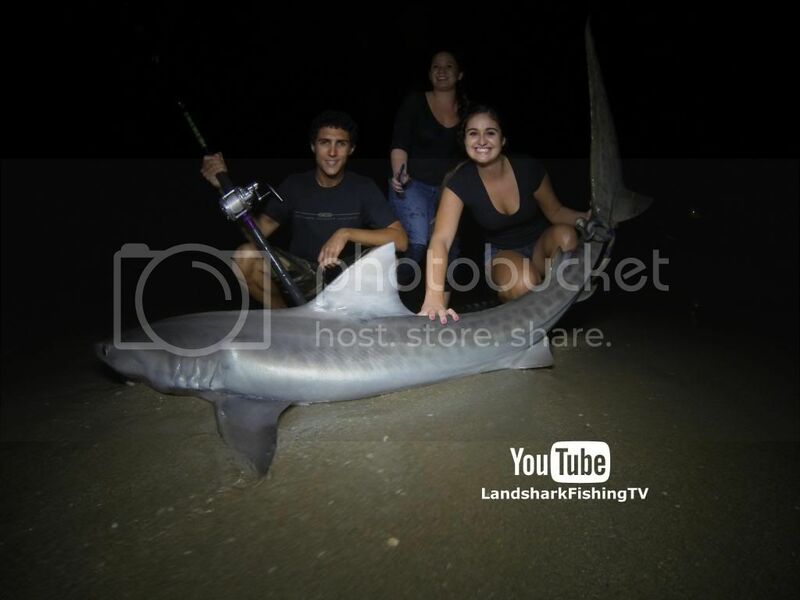 Friends first Tiger shark off the beach! Fishing for us has been real slow ever since the big hammer we got in March. Rough surf, cold fronts and a lack of fish in our usual spots have made fishing difficult to say the least. The one thing that makes up for slow fishing is being surrounded by good friends and it makes the time we spend out on the sand enjoyable. My good friend Ben Begovic has been coming sharking with us over the last two years, but has never really put out a rod until just recently. 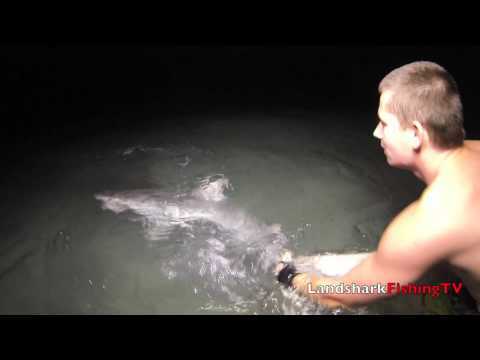 He put this nice juvenile set of stripes on the beach and popped his tiger shark cherry!Please no negative comments or hate if you do not agree with what we do then feel free to ignore the post, but all of the sharks we catch are released as you can see in the videos. Check out the entire thing on video below! Nice Job, Thats a Heck of a Fish! What a beautiful fish! Great job on catch & release!!!! What exactly do you guys look for in spot? Like what makes one spot better than another? I have been fishing a spot along Ft. lauderdale beach mainly do to ease of access but I'm wondering if maybe its not the best spot. So cool. Im dying to get on a tiger! Honestly any public beach with good reef, bait free from lots of people or commotion is good. People tend to overthink it if you have bait in the water something will swim by and eat it. Good luck to you!